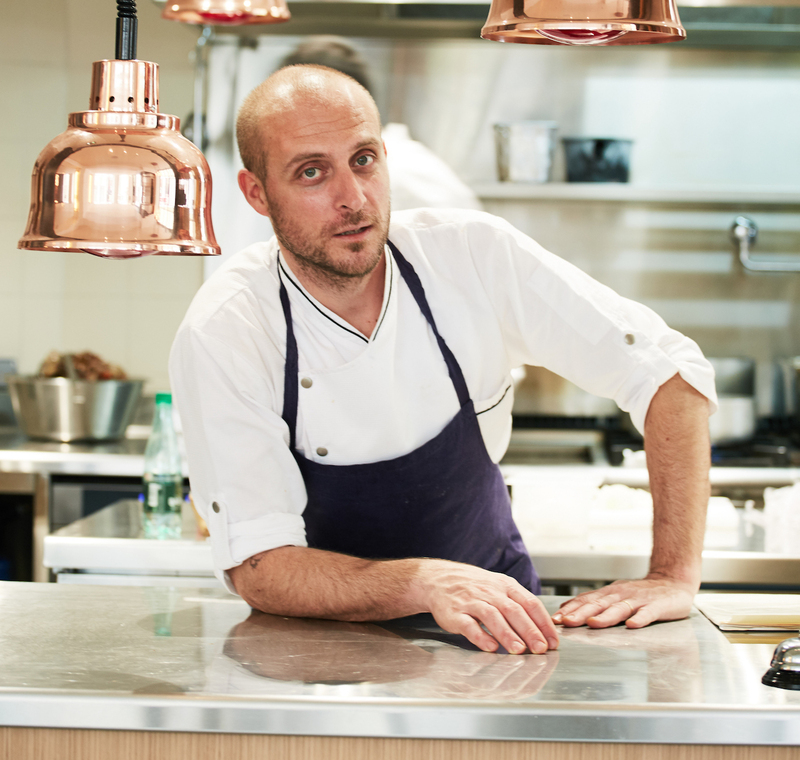 During the activities of our 100per100 Italian in Paris, we met and interviewed Giovanni Passerini, who recently earned the title as Best Italian Chef in France. Here you are his interview for the Friends of I Love Italian Food. 1) Three words to introduce you. 2) What does it mean to you to be an Italian chef abroad? The Italian nationality allows me to give a different identity to my cuisine. I belong to the so-called “bistronomie” movement that has developed to such an extent as to render a distinctive feature necessary within it. Having many suppliers in common, using exclusively seasonal products and selling in the same restaurants, one runs the risk of resembling the others that exist to a great extent. Looking for combinations and cooking typical of my region has allowed me to mark my identity to some degree. 3) What is the Italian recipe that most represents you? Without doubt filled pasta, in all its forms. In order to make the best filled pasta you must focus on and master the filling, my true fixation. Each filling is matched to a specific type of pasta, to the correct blend of flour in the dough and to the thickness that is adapted to it. The filling must be the centre point of the dish, around which everything else is constructed. 4) What are the three essential Made in Italy products for your kitchen? 5) Speaking about the “Italian Sounding” phenomenon, what do you think are the solutions to oppose it? I am not so worried about it, I am convinced that the high quality of the serious producers and the enthusiasts are finding and will always find more space in the restaurants and in the distribution of a high variety. The true products and those that are legally falsified present to the public as being radically different, therefore it is sufficient to maintain a good level of communication, a high qualitative standard and the utmost complete transparency, in order to be able to sleep at night. It is without doubt an exaggeration (he smile) I simply wanted to bring back the a la carte menu, abandoning the fixed menu, that is so widespread in the capital as to make the Parisians become a bit weary of it. In addition, we propose a vast choice of dishes to share: a whole duck, a leg of roast lamb on the bone, a turbot of two kilos for 4 – 6 people, that arrives at the table accompanied with simple vegetables, with a gratin, with a herb salad. We haven’t invented anything, we have simply opened a place where we would like to go to dinner in the company of others, but also to spend an evening. Because the food is important but it shouldn’t be everything in the context of a meal. 7) What is the opinion about the world of Italian fresh pasta among French people? They are discovering it with enthusiasm and with the curiosity that distinguishes the French on the matter of food, especially that which is Italian. Unfortunately there exists in Italy the false myth that the French don’t love us, that they look down on us. Nothing could be further from the truth: our cousins across the Alps love our culture, our country and our cuisine. They even cheer for our national team when we play against them! Prepare them with rigor and respect for tradition. They devour my Roman-style tripe, that is becoming the untouchable dish on my menu. Its preparation is a long process that, when well-executed, allows even those who don’t love tripe to enjoy it. The gricia (to which I simply add some fresh mint leaves) is also a resounding success.